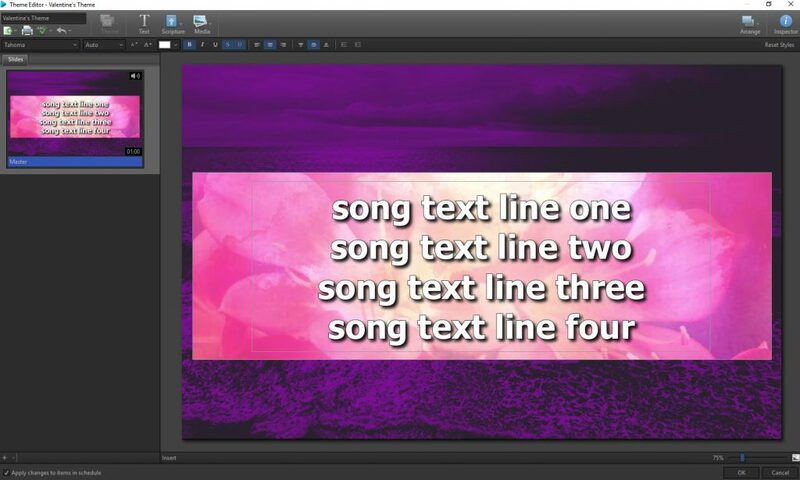 Layering motions on your worship slides can bring your worship slides to whole new level. (Plus, it’s super easy!) The keys to working with motions is learning how to best customize the texture and color of each motion. If you layer motions from within the same collection, this will give you an immediate advantage. As a general rule of thumb, texture and color should compliment each other well. But what if you want to step outside of that parameter? Let’s talk about color. You’ll notice that the dominate colors in each of these motions are related. They both share the color red. Red and blue make purple. Red and white make pink. Understanding how colors relate is super handy when layering motions. However, using colors that don’t relate such as blue and orange or purple and yellow, can work just as well. There are many resources online to help you understand how colors relate such as this article from All Core Communications. It can seem confusing at first, but I encourage to play around with colors and over time you’ll see what you like and what you don’t like. Understanding texture is also important because the wrong texture truly can make or break the colors you’ve chosen–even if they are complimentary colors. For the example above, we have an ocean motion that has been adjusted with a purple gradient overlay. The second video has more of a watercolor motion with some blurred lines and softer edges–a great combination to use as a background for text. Before I added the purple ocean motion behind the pink motion, I tried a few glitter motions but the movement was too different and too sparse. I needed something different which led me to choose the Panoramic Purple Gradient motion by Dan Stevers. The other motion used in this design is the Women’s Ministry Teaching Motion from Twelve Thirty Media. If you still feel unsure about layering motions, an easy way to begin is to layer black and white motions. When they’re black and white it is much easier to balance texture and, of course, the color will always go together. No matter what color you choose, just be sure to place the brighter motion as the text layer so your text really pops.